Pour lager and cider (otherwise known as a Snake Bite) into a pint glass, and stir. 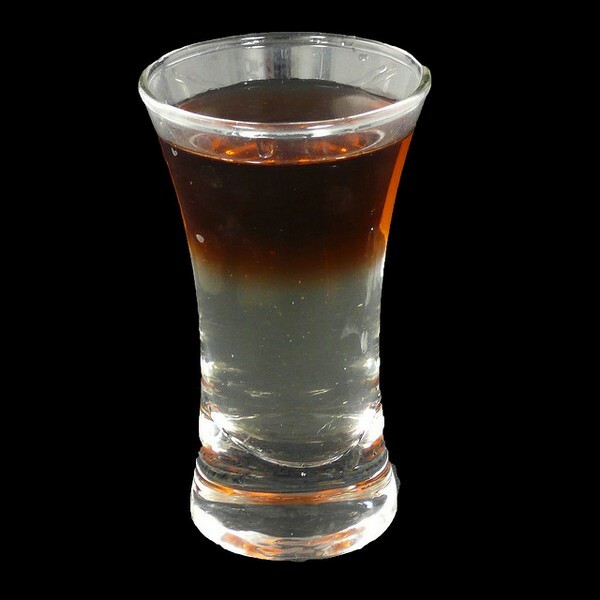 Seperately prepare a Double Pernod and Black (Pernod and Creme de Cassis blackcurrant liqueur) in a 3 oz tall shot glass. Drop the shot glass into the pint glass, and serve.